She had lost the person she loved most. She herself had been a victim. She had disappeared for six years. Now she is back. And she can control matter around her. She wants revenge. But can she change the past? Leah has been living in deep forest, isolated from the rest of the world, for six years after an incident shattered her entire life. But now, she has decided to go back into the world, and take revenge on the people who ruined her life. Six years ago, she was a victim. But now? Someone else is going to be. Six years ago, the one person she loved most and wanted to spend her life, Laec, with was dead. She also had to leave behind her sister, Kate, who was in a relationship with Laec, who had also lost her one love, to come into the forest where Leah would bathe in the cold waters of the river Semois, hunt rabbits and boars, sleep under the dark sky, and spend life with idle mind. This life has taught her a lot. It has taught her how to calm her mind and focus. It has taught her to hunt, kill and deskin anything or anyone. But more importantly, it has taught her something she has never imagined, how to control matter around her. This is not a story of a superhero. This is not a story of someone using their superpowers. This is a story of sexual abuse. Of what happens when power is in the hands of a few. Of how decisions taken in the heat of the moment ruin lives. Of a lot of sadness, and anger, pressed into a dark corner for years. 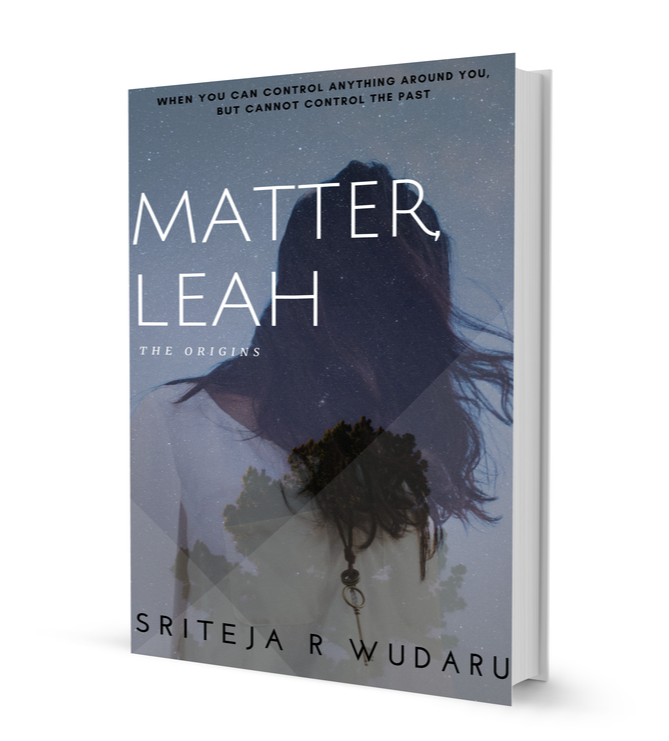 Narrated both in present and past, Matter, Leah tells the story of what happens to Leah now and what had happened six years ago. Situated in both urban cities and deepest forest, Matter, Leah touches the sophisticated and wild sides of human emotion. It comes out soon.